Kevin Long is our "Chief Banana". 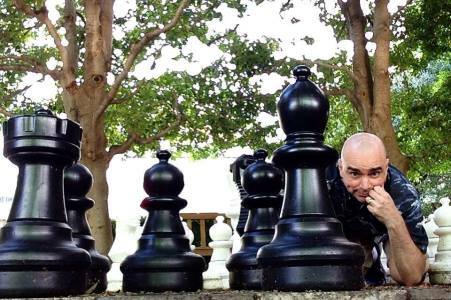 He has been committed to linking wellness and the workplace since his days as a director for a local advertising firm. 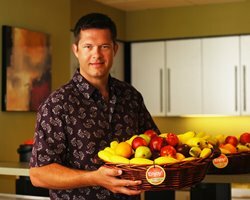 He's been bringing premium-quality fresh fruit to D/FW Metroplex offices since 2010 and is excited about starting fresh fruit delivery to Houston offices. 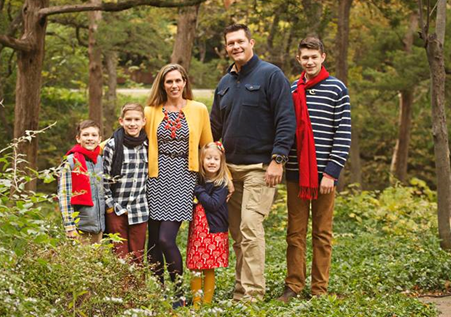 Kevin's wife, Amy, is a registered nurse who also serves ORCHARD At The OFFICE and raises their four children. They are truly a happy, busy family! Chris Buchanan is our "Operations Wiseapple" who came aboard in 2012. He's a former music teacher with a business degree who works diligently to pound the drum of healthy snacking. Whenever he's unsure of something, he asks his wife, Chauncey, who is a personal trainer certified by the Cooper Institute. 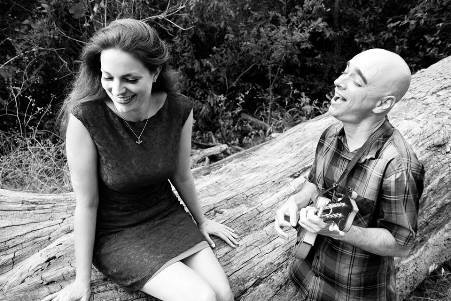 Together they raise two boys, listen to the music of Tori Amos, and laugh a LOT! Hello! I'm Chris Buchanan, the Operations Wiseapple with ORCHARD At The OFFICE, and my primary aim in conveying our historical narrative is to make it as palatable to any potential reader as the premium produce we provide. (As you can already see, if alliteration's your thing, I'll undoubtedly provide that in abundance, in addition to employing a host of other literary devices to the extent my limited skills can conjure.) 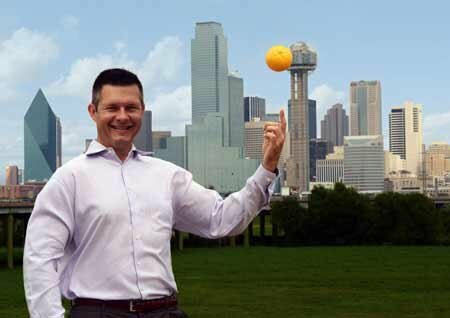 As the story of how ORCHARD At The OFFICE grew from a simple idea to north Texas' largest office fresh fruit delivery service starts in 2010, which predates my own involvement in the organization, the first installment in this adventure will be told in the third person. The idea for this company belongs to Kevin Long, our Chief Banana. Personally I can claim no credit, but then, the best things that have happened in my personal life were never really my idea, which is a sentiment any successful husband will certainly understand. Cast your mind, if you will, back to 2010. Ke$ha was on the satellite radio "singing" "TiK ToK" and Taio Cruz was lighting it up like it's dynamite. The popular show The Biggest Loser, in its ninth season, continued to inspire and motivate the nation to achieve its health and fitness goals, and insurance firms were increasingly incentivizing corporations to establish wellness programs such as smoking cessation, fitness challenges, and healthy snack alternatives, as a way to help everyone's bottom line, both figuratively and literally. Amidst all this, a native Texan named Kevin Long was employed as a director of an advertising firm in Dallas. Every week it was someone's duty to bring in the morning munchables - predictably, donuts and bagels. Now, few are those who would eschew a lovely glazed donut, but Kevin thought, "hey, what if we brought in something healthy, like bananas and apples? 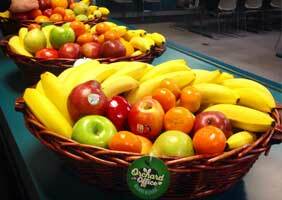 Everybody loves fresh fruit, and it seems everyone's trying to get healthy." And lo, he did just that, bringing in the bounty to the break room, and the response was overwhelmingly positive. So much so, in fact, that Kevin partnered with relative Dennis McCart, left his organization, and soon they took their idea to office kitchens throughout the Metroplex. And so it was on October 15, 2010 that ORCHARD At The OFFICE took root. At first, it was a two-man operation, with Kevin and Denny arriving at the farmers' markets sometimes before the agrarians themselves, then artfully arranging the yield and delivering it themselves to their "friends". 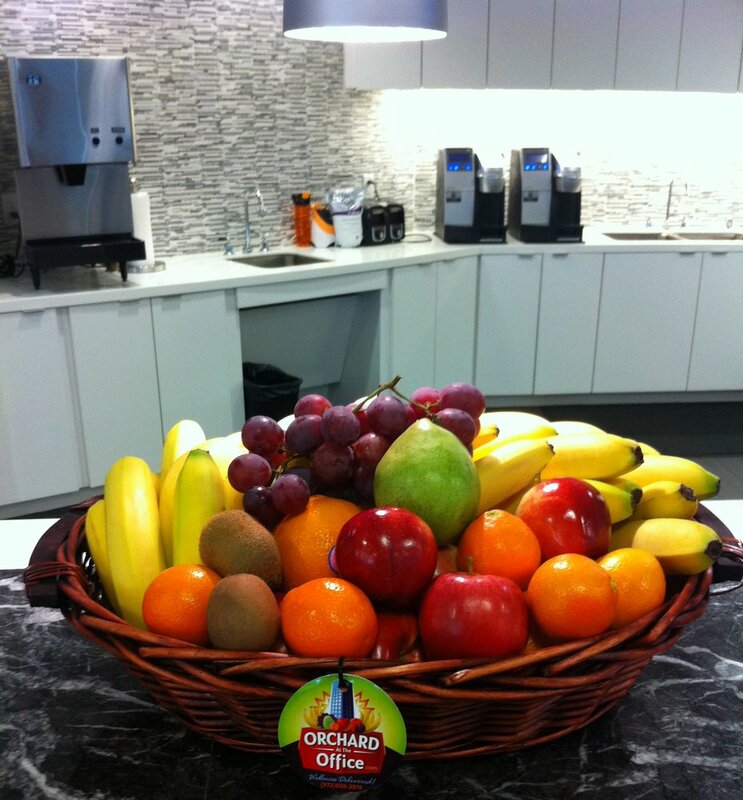 ORCHARD At The OFFICE stemmed from a simple idea: delivering fresh fruit to offices throughout the Dallas/Fort Worth Metroplex. In their pioneering days, this necessitated Kevin and his partner Denny rising at hours that would make a bat groggy as they hit the farmers' markets as early as possible to prepare baskets for their friends. With the assistance of a small team of delivery drivers, ORCHARD At The OFFICE soon grew to the point where they could assert themselves as "north Texas' largest office fresh fruit delivery service". 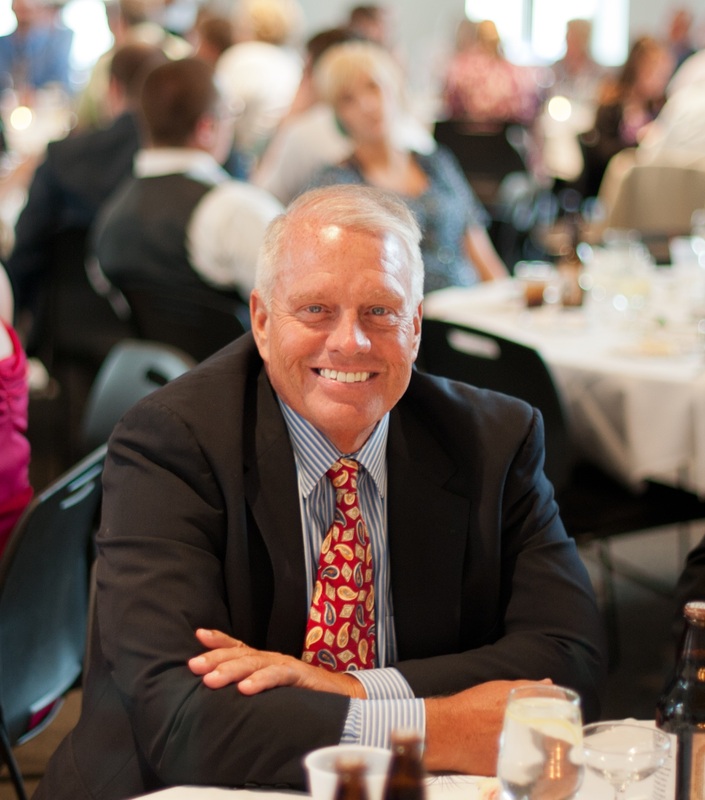 In March of 2012, tragedy struck as "Uncle Denny" passed away from a sudden myocardial infarction. His loss, and legacy, are still felt in the company today, as both bolstered Long's conviction that the mission of "healthy snack alternatives" is indeed vital to society's well-being. Under these difficult circumstances, it became necessary to employ additional staff to fill Uncle Denny's considerably sizable (and always stylish) shoes. One friend of Denny's, Ali Sheikh, approached the Long family immediately offering to do anything he could to help. He is now the longest-tenured staff member and his contributions at so crucial a moment will always be valued. From here, the Long family reached out to other friends. It is at this point that I cease to speak in the third person, and "they" becomes "we". I, the Operations Wiseapple, joined the ORCHARD At The OFFICE family to help with deliveries and to champion the cause of healthy snacking in all available media, a role for which I am ideally suited as I am both gregarious in personality and ridiculously obdurate in temperament. I only include this autobiographical information to say that each member of our team is indeed unique, not just in respect to our workplace, but indeed within our community. We are proud of our staff because they are so much more than "good hands" - they are good people. By May of 2015 we had expanded into Dallas, Fort Worth, and every suburb major and minor. Vans loaded with goodness depart each weekday ready to bring the freshest produce available to our smiling friends strewn hither and yon through our sprawling Metroplex. This necessitated a relocation, and after a great deal of searching, we found a new home...just two doors down from where we were! 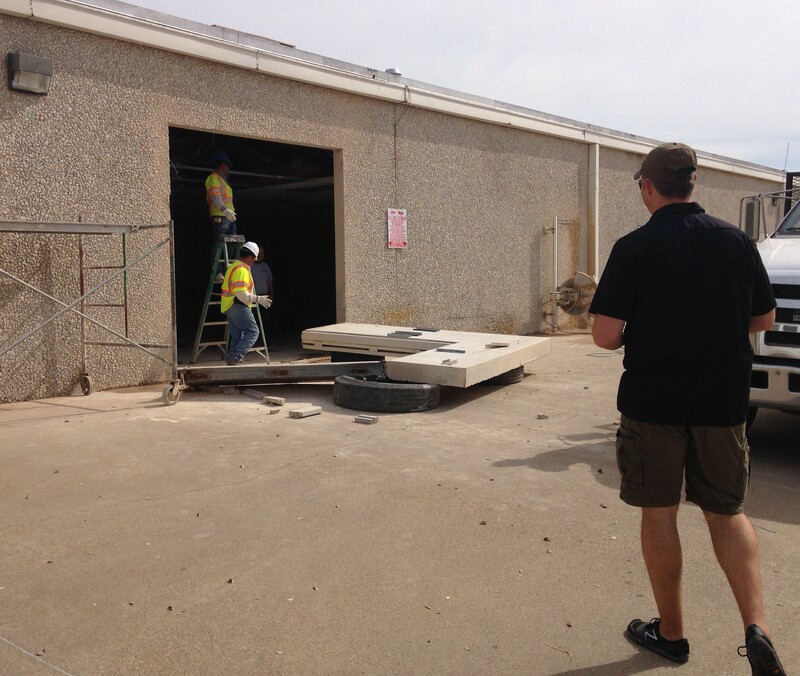 To accommodate our needs, walls were cut, climate controls installed, and floors were sealed. Everyone who has taken up a new residence can understand how such a change signifies both a renewed commitment to an idea, coupled with a fresh outlook. One does not sign a lease, or indeed a mortgage, without some degree of confidence that the partnership (whether a business or a family) has a future. Similarly, when one must take an inventory of all material possessions in order to lug them to a new location, be it two doors or two states away, it's only natural to take a look at what's needed and what isn't, and with that change in perspective, new possibilities often emerge. With this change of perspective, we were able to respond to, and indeed anticipate, the healthy snacking needs of our friends. We've always customized our offerings, giving them more bananas if they ask, noticing if they aren't as crazy about the oranges and thus making proactive substitutions and so on. However, we started to consider the size and needs of companies of all sizes: the 2-3 person operation in Irving who might like fresh fruit on a regular basis, or much larger organization in Plano putting together a wellness initiative. And so we increased the quantity of our offering threefold, thus ensuring our friends could find the offering most ideally suited to their needs. Sourcing additional offerings such as clementines and avocados have given our friends the opportunity to experience a vast array of healthy flavors, and the feedback we've received has truly been wonderful. 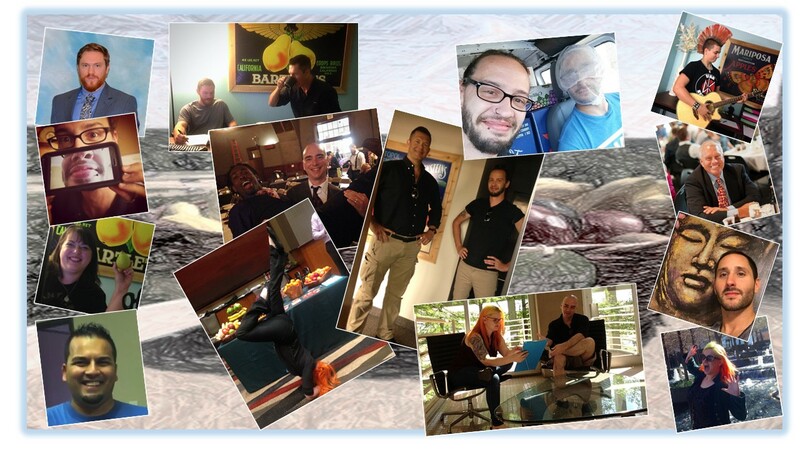 As we move forward, ORCHARD At The OFFICE looks for new ways to bring the mission of health and fitness to the fore. We've started bringing our fruit delivery service to Houston and seeing the smiles greet our drivers in new places provides heartwarming validation of our mission. 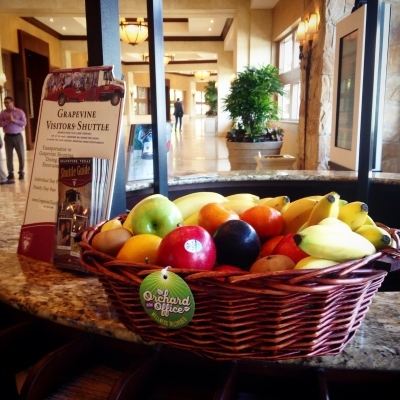 Whether it be in the form of baskets our customers can send their clients or staff, our ongoing presence at health fairs and blood drives, or simply bringing a box of bananas to The Samaritan Inn, we remain committed to our single purpose: a healthier, happier Metroplex. 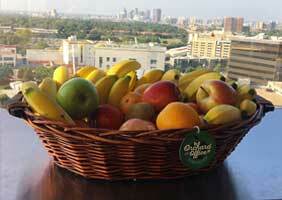 CALL 972.295.9091 FOR OFFICE FRUIT DELIVERY TODAY! This delivery truck is empty!